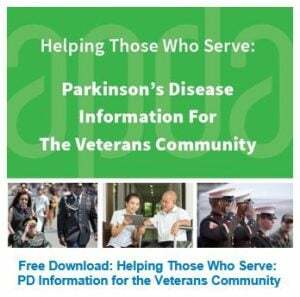 Resources for Veterans | American Parkinson Disease Assoc. 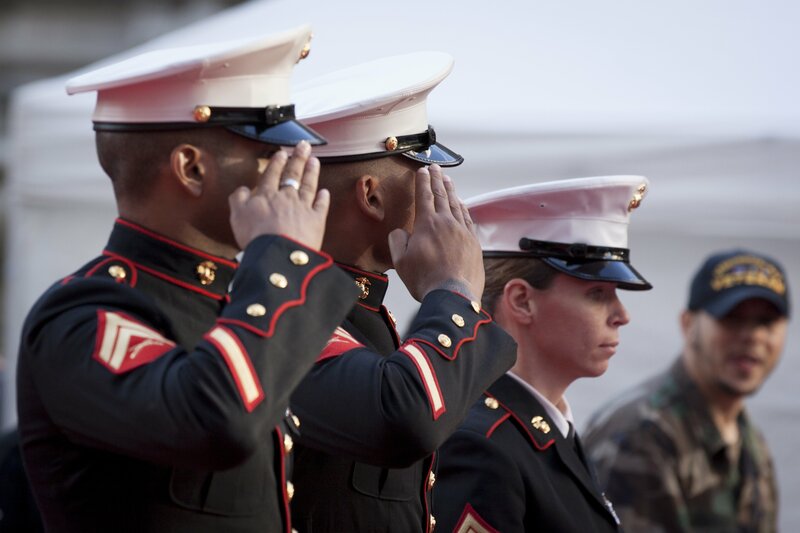 Veterans may be at an increased risk of Parkinson’s disease (PD) because of their service. Evidence suggests that one cause of Parkinson’s disease may be exposure to pesticides or herbicides. During the Vietnam War, many veterans were exposed to Agent Orange, a mix of herbicides that was used by the US military to defoliate trees and remove concealment for the enemy. 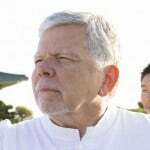 There are other causes of Parkinson’s disease as well, and most people who develop Parkinson’s disease were never exposed to high levels of pesticides or herbicides. The Department of Veterans’ Affairs (VA) established six Parkinson’s Disease Research, Education, and Clinical Centers or “PADRECCs”. Each PADRECC delivers state-of-the-art clinical care, conducts innovative research, and offers outreach and educational programs to all veterans currently enrolled in the VA Healthcare System. Eligible veterans include those who have been diagnosed with Parkinson’s disease and those who have just started to notice PD-like symptoms. PADRECCs also treat veterans diagnosed with other movement disorders, like essential tremor. PADRECCs are located in Houston, TX; Los Angeles, CA; Portland, OR; Seattle, WA; Philadelphia, PA; Richmond, VA; and San Francisco, CA. For veterans who cannot travel to a PADRECC, the VA more than 51 Consortium Centers—VA clinics that offer specialized Parkinson’s disease and movement-disorder specialty care. These Centers are staffed by movement disorder specialists or clinicians with vast experience and interest in the field of movement disorders. These VA Consortium Centers work collaboratively with the six PADRECCs to ensure the highest level of care for all veterans. Veterans exposed to Agent Orange during military service may be eligible for a free Agent Orange Health Registry Exam. Registry health examination, healthcare benefits, and disability compensation. Vietnam veterans with Parkinson’s disease or other diseases possibly associated with Agent Orange may claim benefits without having to prove that their conditions are due to Agent Orange exposure. Or, call 800-749-8387, x3. Ask about registry health examination, health care benefits, and disability compensation. Information and services can change. Please check the Veteran’s Administration website for the most accurate and up-to-date information.